Everyone has caller ID these days, but sometimes you want to block your phone number when you make a call. Fortunately, blocking your phone number is pretty easy to do - simply follow these steps for your Android phone, iPhone or your home phone. Your number will be blocked until you turn the feature off again by repeating the same steps and selecting "Show number." Be aware that menu names could vary depending on the version of Android you're running. Click "Show My Caller ID"
Just like with Android, your caller ID will be blocked until you repeat the steps and toggle "Show My Caller ID" on again. Toggle "Caller ID Blocking" on. You can also block caller ID through the My Verizon webpage by following similar steps. Go to the Blocks page, pick the phone number you want to block caller ID on, click "Block Services," toggle "Caller ID Blocking" on and submit the changes. While mobile phones offer easy ways to permanently block your number, your landline doesn't. 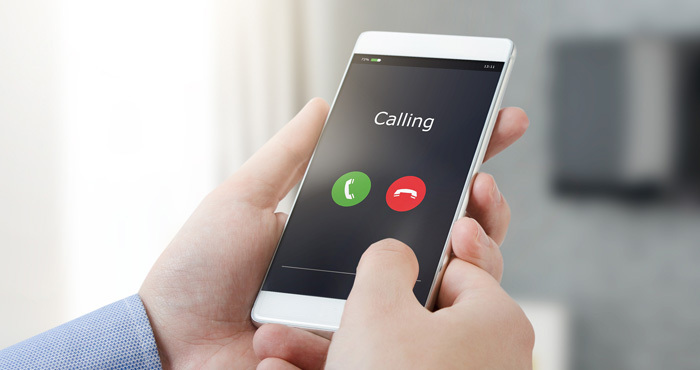 You may be able to block your caller ID from your phone provider's website, so check there first — VOIP services are particularly likely to offer some kind of simple option to block your caller ID information. But if you have a traditional landline, you'll probably have to call their customer service number (check out our tips on the fastest way to reach a customer service rep). If you want to unblock your number for one call, all you have to do is dial *82 before the 10-digit phone number. Your number will be unblocked for that call only. Keying *67 before the phone number will block your caller ID on the call you're making — and it works for both mobile and landline phones. Whoever you call will see "private number," "unavailable," or something similar on their caller ID instead of your phone number. Once you've ended the call, your next call will display your caller ID as normal. If you know that you'll want your number blocked every time you call a number, save it to your address book with the *67 in front of the number. Want to go completely anonymous? Check out our tips on how to get a free anonymous phone number. Be aware *67 doesn’t always block your ID. I was calling clients and having them call me backc when I thought my ID was blocked using *67. I was told #31# worked better and I have been using it ever since with success.